I feel like I have not really changed my hair care routine in such a long time and I was getting a little bored with how my hair felt. 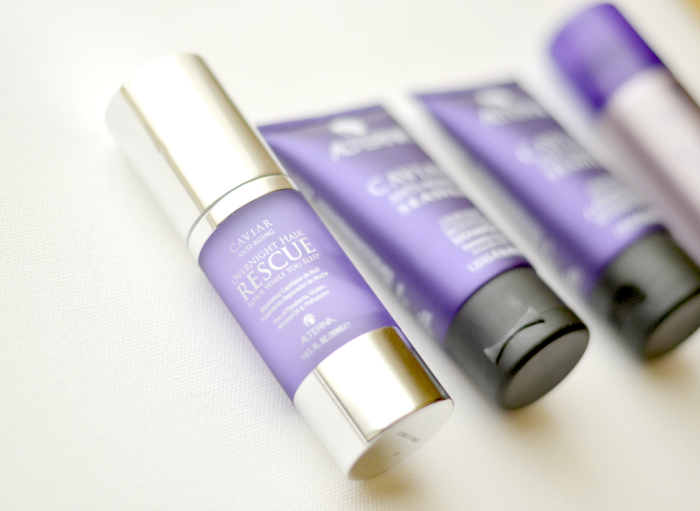 So after doing some research among other beauty bloggers and youtubers, I saw that the Alterna Caviar Anti-Aging Seasilk Moisture range have some really hyped products. Now they are not the most budget friendly hair care products you will ever find, but I really wanted to give them a try and see if they would actually make a difference in how my hair looks and feels. And I gotta say, for the price you pay for these, I have quite high expectations that the difference I see in my hair will be quite noticeable. 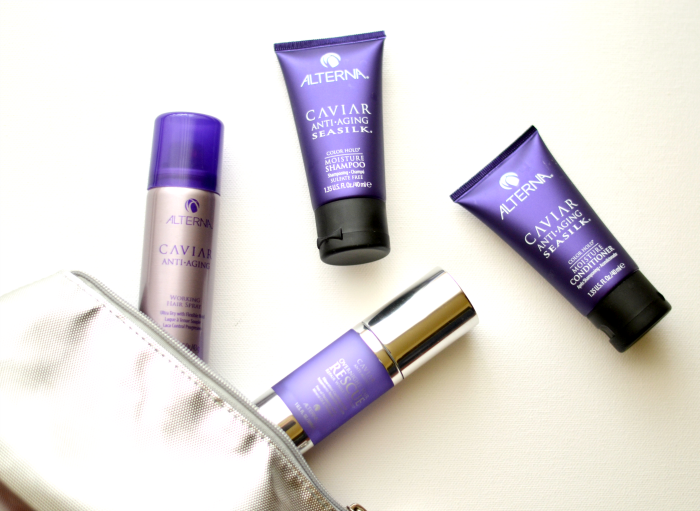 I mainly wanted to get the Alterna Caviar shampoo & conditioner, but I was kinda reluctant to spend that amount of money and then maybe find out that they're not right for my hair, or that I just don't like them. So when I saw that they have this travel set of 4 different products from the range, I decided to go for this one instead, to see how it works before I invest in the full sized bottles. It comes together with the Overnight Hair Rescue & the Working Hair Spray. I have only tried them a couple of times, so I can't really write much of a review, but I will do a full review on these after I test them out for a while. I will say, though, that I did notice a difference from the first use, so I was quite impressed with that. I will see how it works over time and decide whether I will be getting the full sized ones or not. Let me know in the comments below if you tried these and how you like them!